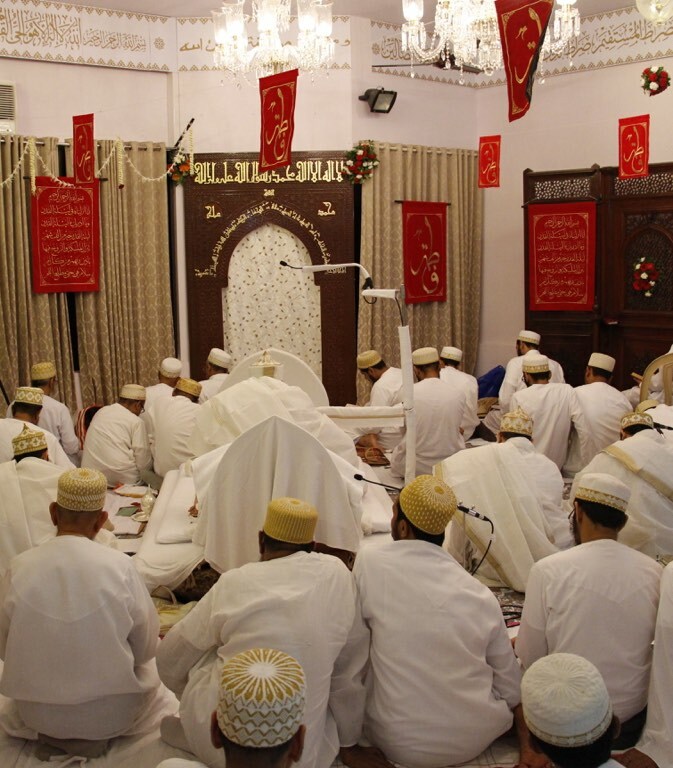 Syedna Taher Fakhruddin TUS led Mumineen in namaaz and doa on the eve of Lailatul Qadr, 23rd Shehre Ramadan 1437H, in Iwan-e Fatemi, Darus Sakina, Mumbai. 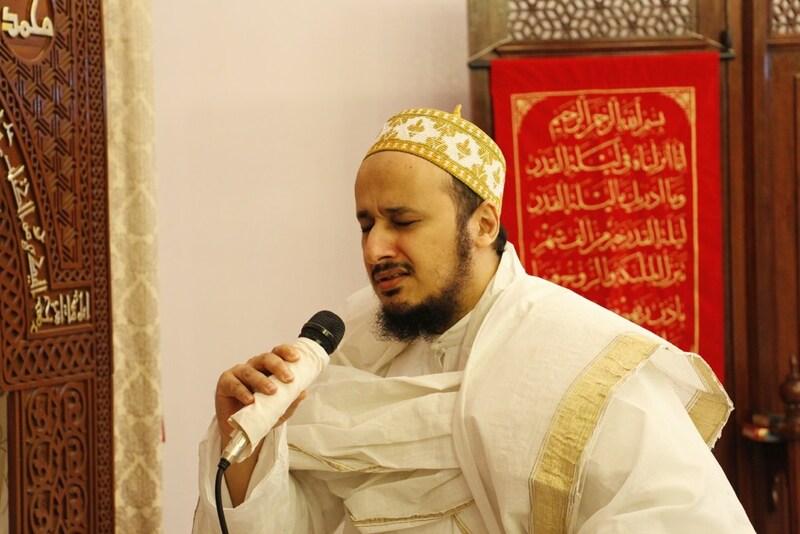 After the 20-rak’at washeq—a gift we present to Rasulullah and Maulatuna Fatema—Syedna supplicated Allah ta’ala in an impassioned, humble and heartfelt wasila. 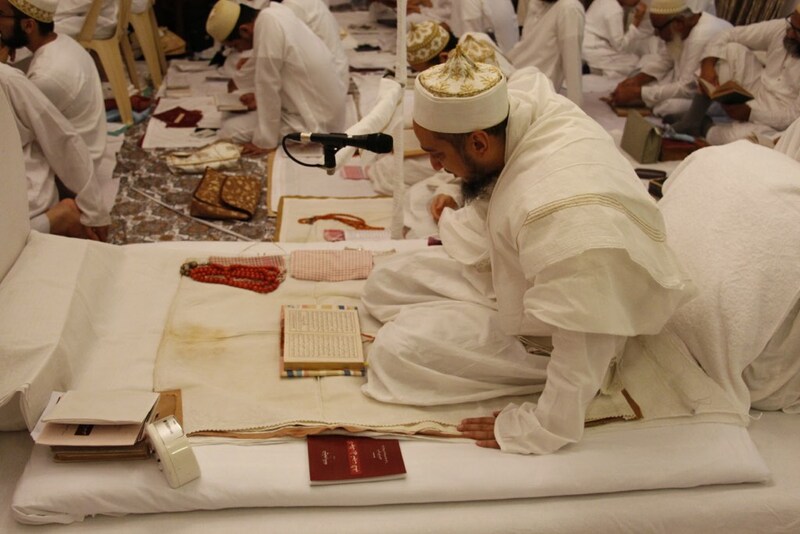 Imam uz zamaan’s ta’eed was visible in each and every word of his precious doa. 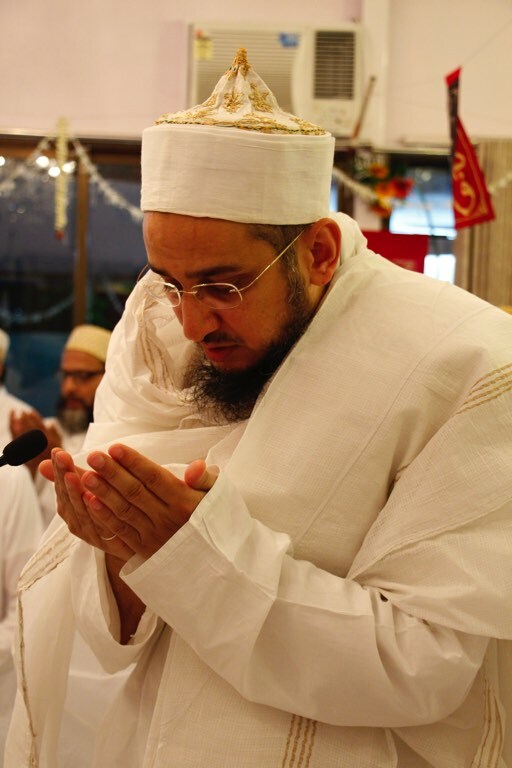 Syedna began by imploring Allah to forgive our sins, including the greatest sin, which caused our fall from the heavenly abode. He beseeched Allah for forgiveness in the name of the Panjetan Paak - Muhammad, who is the intercessor for sinners (shafi’ al-mudhnibin) and Allah’s mercy for all the world (rehmatun lil-aalamin); Maula Ali who is the best helper for all creation (madadgaar), Fatema, who saved her precious tears to save Ali’s Shia from the fire; and Husayn, who offered his life for their salvation. 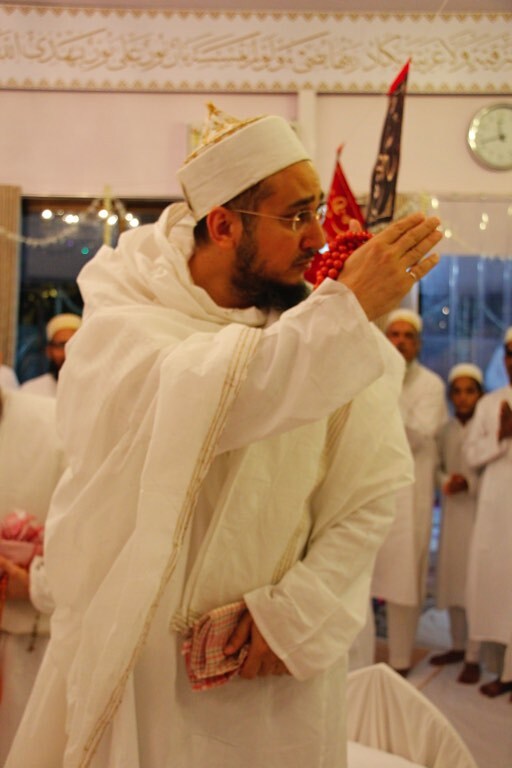 Similarly, Syedna invoked the wasila of all the Imams - Imam Mansur declared that if a Mumin is thrown into the fire for his sins, he will put his hand into the fire and draw him out. 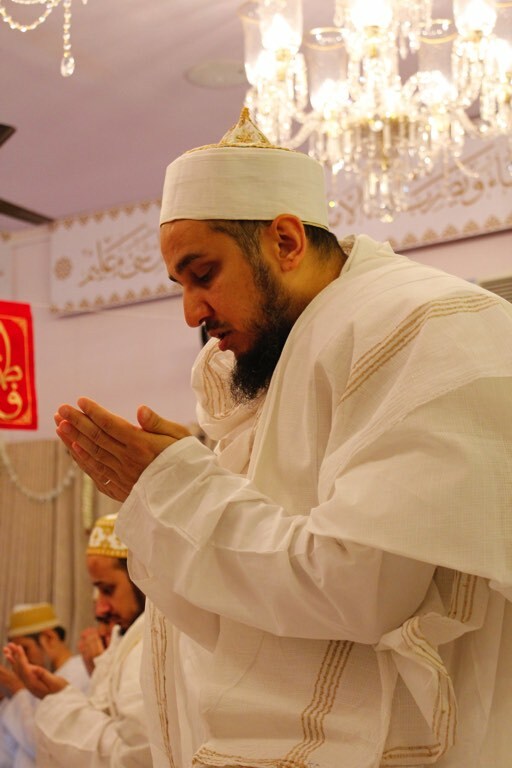 Syedna invoked the wasila of their Duat Mutlaqeen, and their Hudood, among whom one [Maulaya Raj] put on the cloak of a beggar in order to have access to people and guide them back to the true Dai. 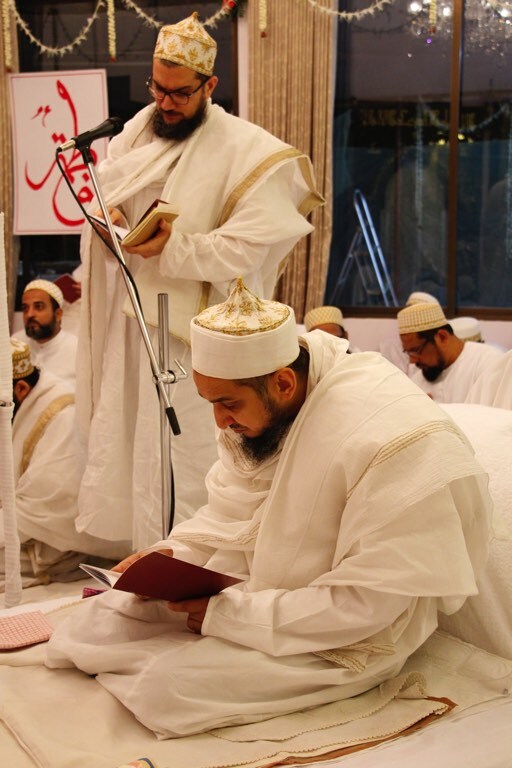 Maulatuna Fatema, is Maulana Ali’s Hujjat (a high rank, rutba, in the Dawat spiritual hierarchy). Her station is higher than a thousand other Hujjats. She is the mamthul of (i.e. the one signified by) Lailatul Qadr. 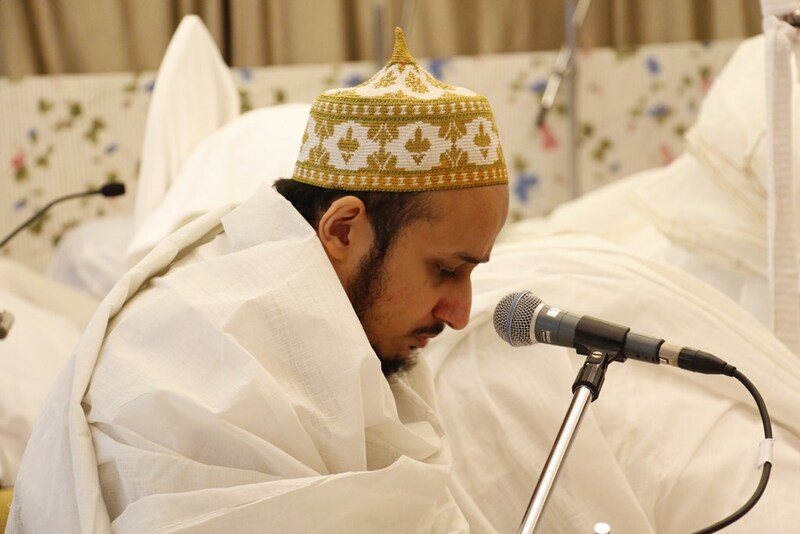 The Hujjat of the Sahib al-Qiyama is Lailatul Qadr. Tayyib Imam’s Dawat during his concealment, Dawatus satar, is Lailatul Qadr. 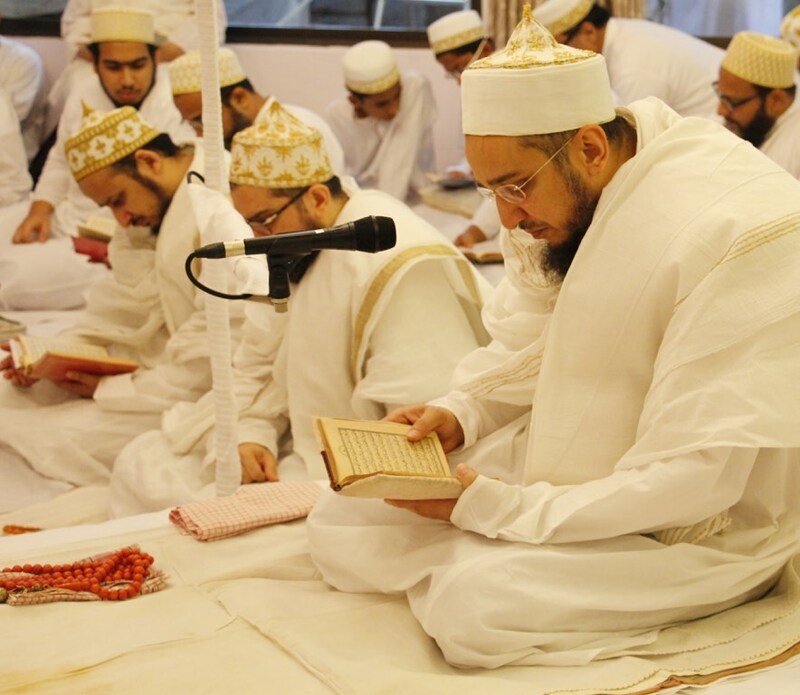 With reverence and love, Syedna explicated Maulatuna Fatema’s virtues, shaanaat, and her afflictions, museebat. He recounted her grief at her father Rasulullah’s demise, the heartbreaking calamities she endured, and her valorous khidmat for her revered husband Maula Ali. 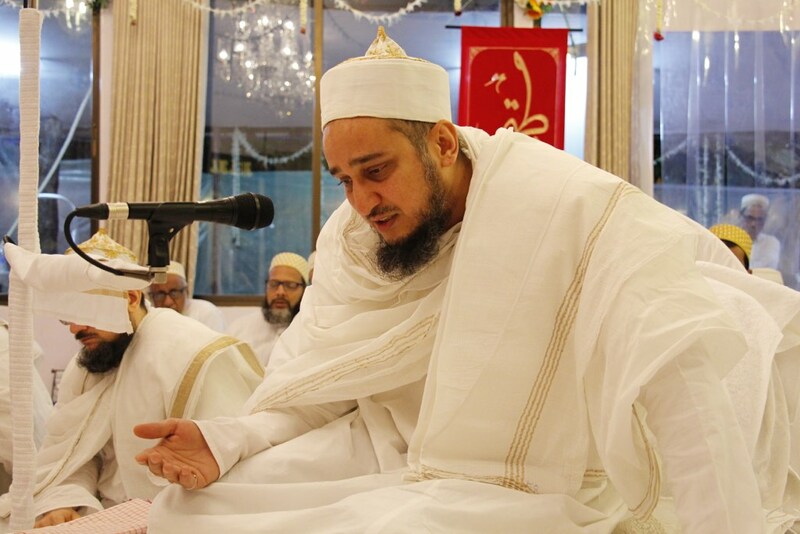 With pouring tears, Syedna prayed Maulatuna Fatema’s poignant shahadat. 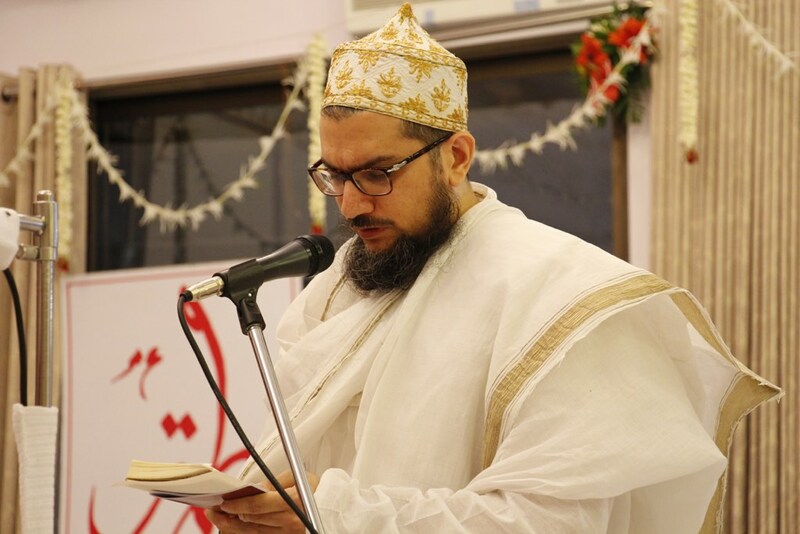 Fatema heated water and bathed Hasan and Husayn: Syedna prayed to Allah that with the wasila of each of the droplets that fell of their paak bodies, purify us of our many sins, for we are the humble servants of the Panjetan Paak. Fatema clothed Hasan and Husayn: Syedna prayed to Allah to grant us the cloak of piety, taqwa for the time of our death, and the garment of health for our lifetime. Fatema cooked bread, roti, and fed Hasan and Husayn: Syedna prayed to Allah that we have grown up in the shade of the Almighty’s benevolent sustenance, rizq, but if any Mumin has fallen on hard times, remove his hardship and open the doors of your rozi for him. 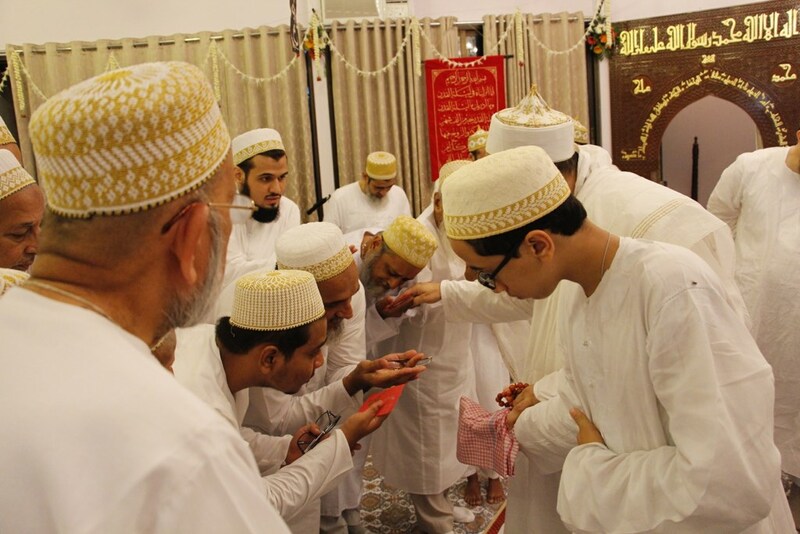 Syedna invoked the wasila of the Duat, especially the three Dais that many of us have seen, Syedna Taher Saifuddin, Syedna Mohammed Burhanuddin, and Syedna Khuzaima Qutbuddin. Duaat are mala’ikat, celestial angels, who are infused with the rooh of Nass, they are the hours (sa’at) of Laylatul Qadr. 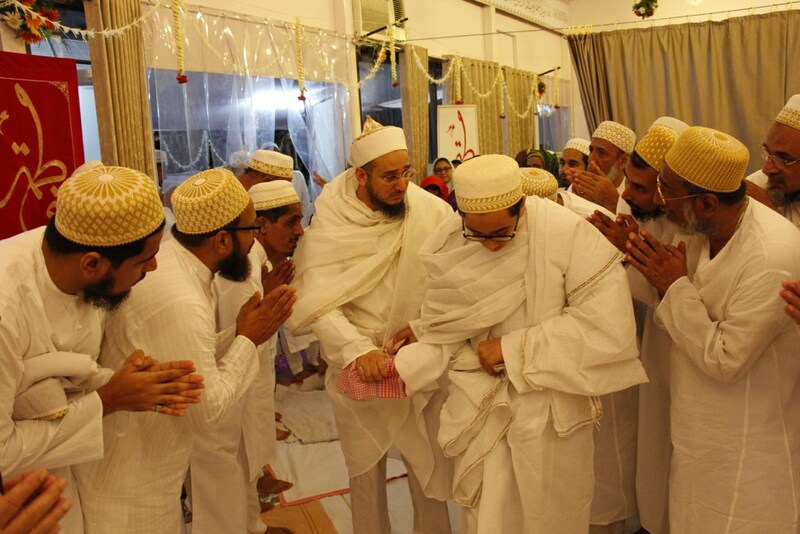 Syedna said that Maulana Qutbuddin had established that the Dai performs Nass with the Imam’s inspiration, ilhaam. 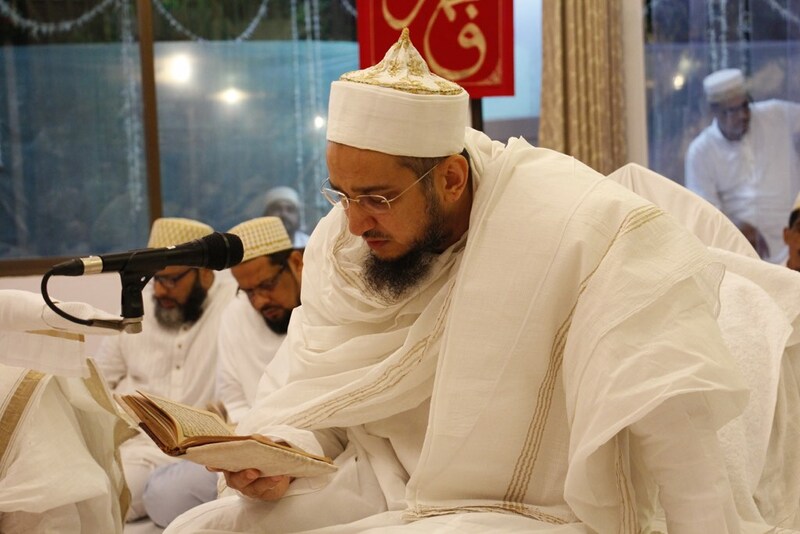 It is because of Syedna Qutbuddin’s guidance that we walk the path of truth. 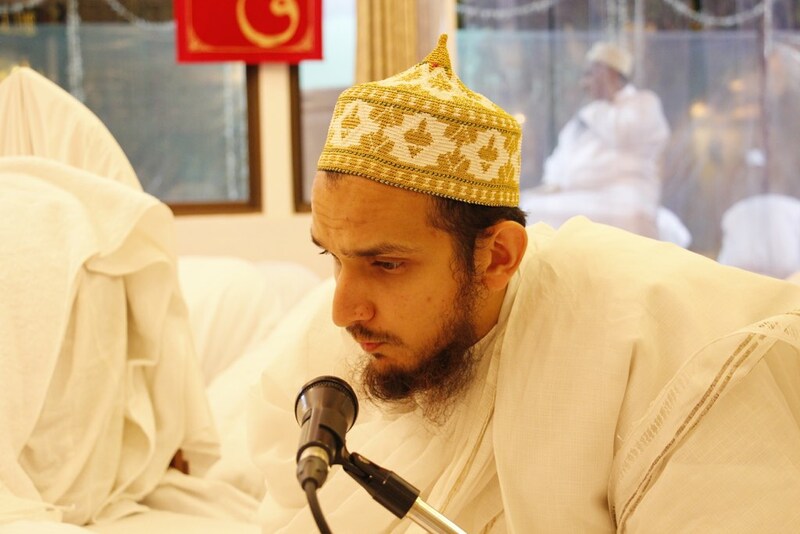 It has been just three months since he passed away, and we remember him dearly, his luminous face, his worship of Allah, his doas, his wasilas, his waaz, his salaami, his shafaqat. Syedna also narrated with anguish the Shahadat of Fatema’s beloved Husayn. He declared that we are Mumin today because of Husayn’s doa. We gather in Laylatul Qadr, Allah accepts our supplications and doas—all this is because of Husayn’s doa for us in his last sajda. He prayed to Allah that by Husayn’s wasila, may our children be Mumin, generation after generation, who recite the names of the Panjetan Paak. 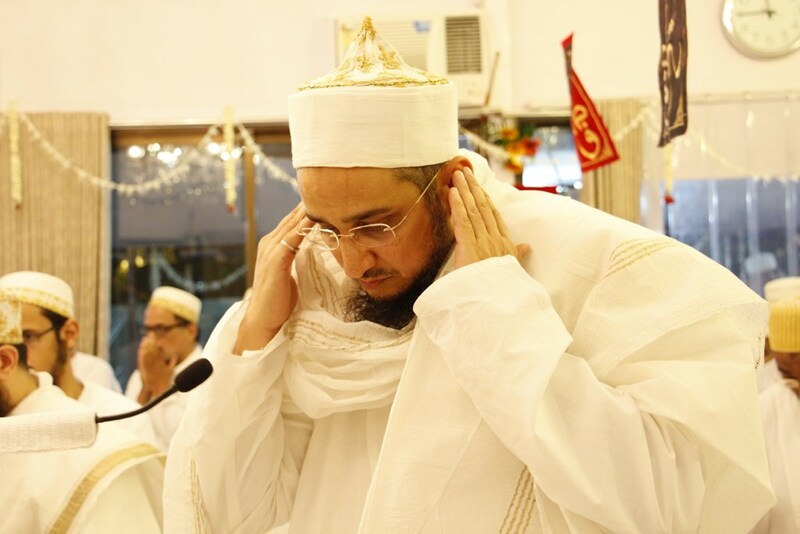 Syedna implored Imamuz zaman to bless us all with his doa in this mubarak night. He beseeched Allah for Nasre Azeez and Fathe Mubeen with Imamuz zaman’s wasila, and to keep the banner of Dawat flying high. He prayed for success in the court cases against the imposters. 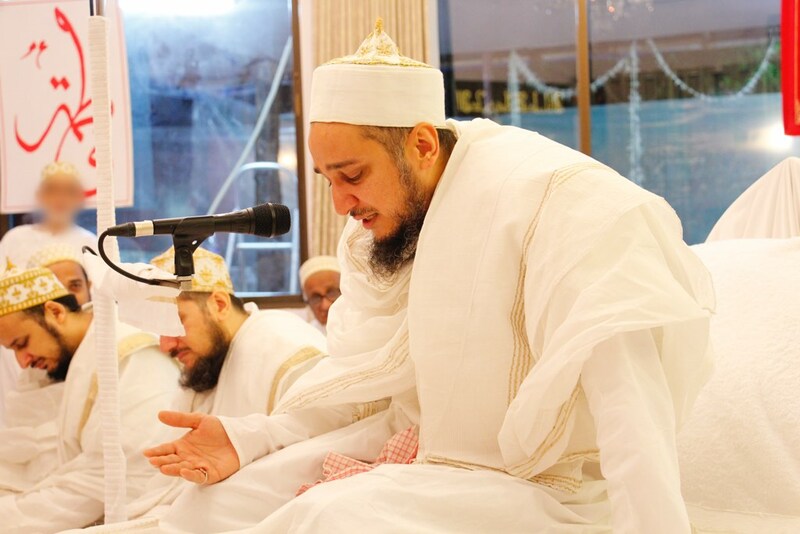 Syedna said, "Allah, this humble servant has come with this ship of mendicants (miskeen) to the door of your mercy. If you do not have mercy on us, where will we go?" 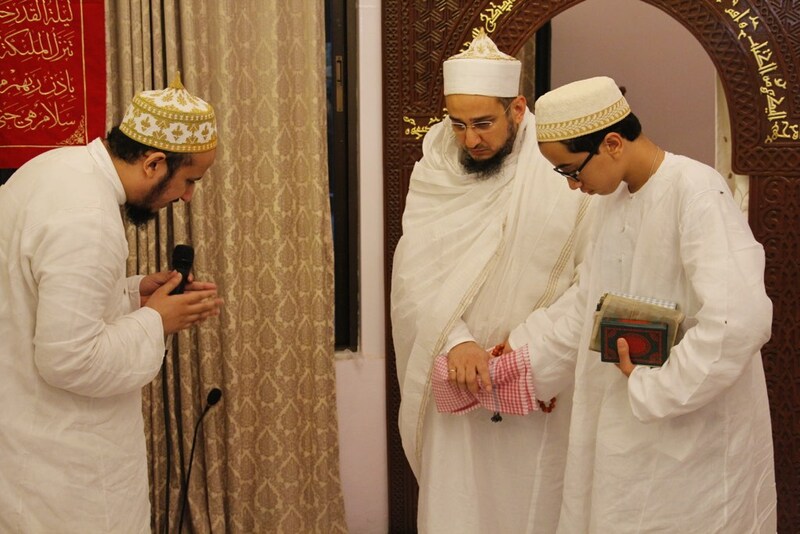 Syedna offered shukur to Allah ta'ala, saying even our praying to you is your blessing, nemat, on us. 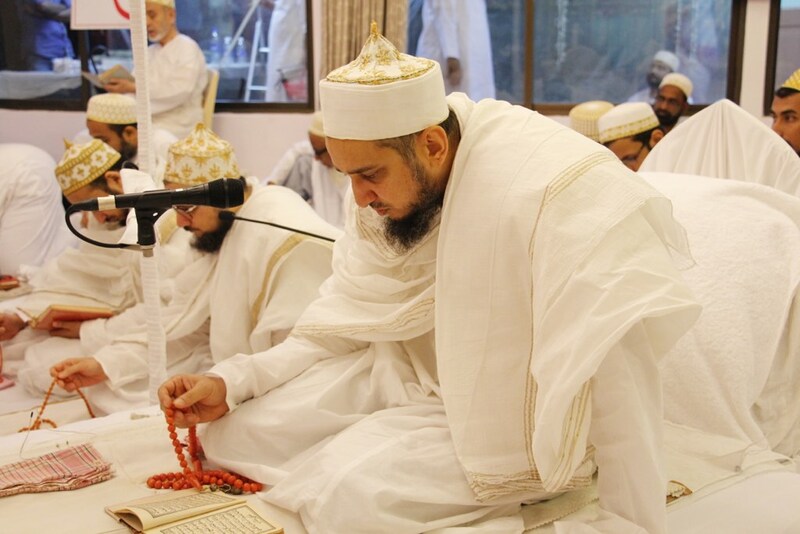 Syedna bestowed the most precious pearls of doa for Mumineen, that may Allah forgive all our transgressions, solve our difficulties, and grant all our wishes, including shaadi, farzand, happiness in family life and qurratul ain in spouse and children, rozi, hajj, namaaz in Misr, Bayt ul Muqaddas, Mawali ziarats, Raudat Tahera ziarat of Maulana Taher Saifuddin and Maulana Muhammad Burhanuddin. He prayed with the wasila of Imamuz zaman, jami ush shamal, to bring back those who have strayed and unite them under the banner of Dawat ul haqq. 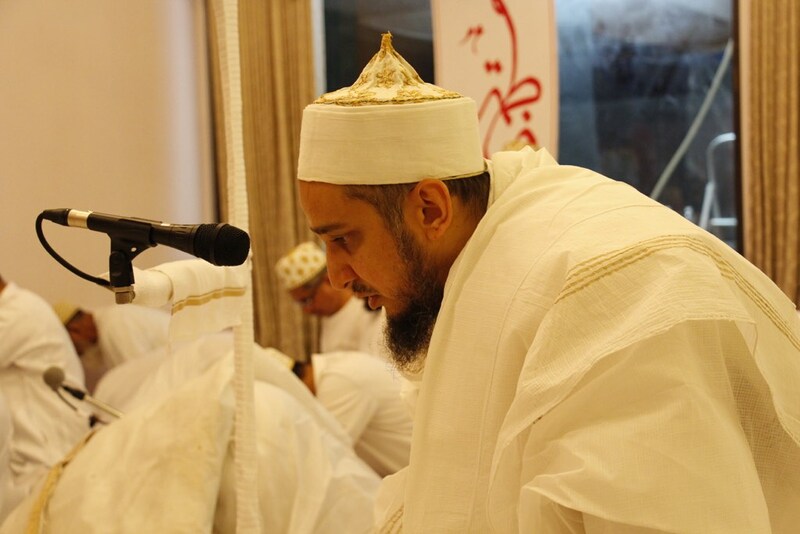 Syedna beseeched Allah to accept our namaaz and roza in Shehre Ramadan. 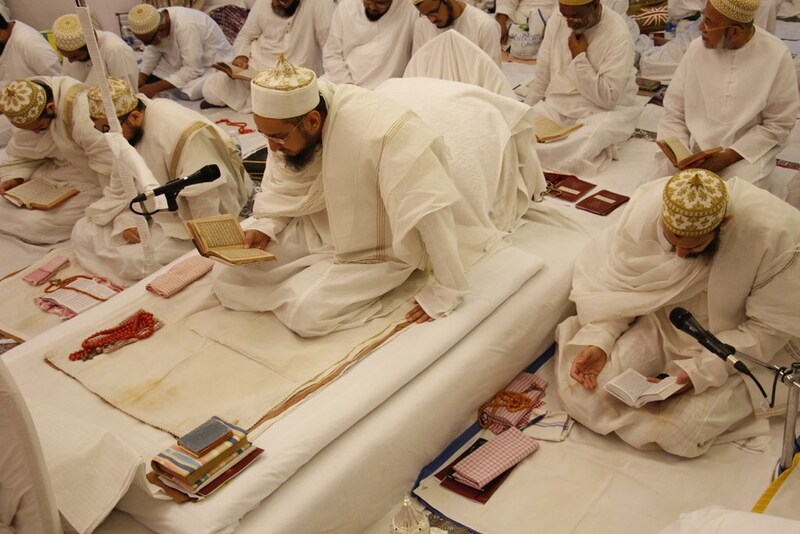 Syedna said he included every single Mumin, no matter where they lived, in his doa. He asked Mumineen to pray for him, that may Allah give him strength to dedicate his life for Imamuz zaman and his Dawat. 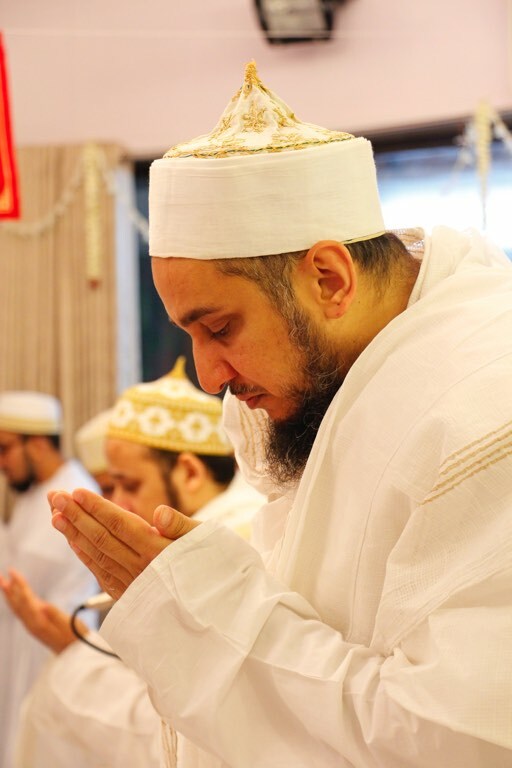 Syedna ended the vasila with this prayer: Allah, we answer your call and say “na’am”, ya raadda ma qad faat, shower us with your blessings (ni’am).